A wide range of modular stacking, or click-together beacon lamps, often referred to as Andon lights, is an ideal product suited for both external and internal multi-status signalling applications. These products are also commonly used on different types of machinery for drawing attention to warning messages and fault conditions by providing a visual alarm. In this way, it will be beneficial for the facility or business to minimise avoidable periods of non-productivity. To ease the task of stockist or distributors, system integrators and design and maintenance engineers, this modular approach enables the stacked beacons to be constructed from any combination of module types. The all-inclusive range builds from a terminal module or common base and offers different choices of visual indicator modules such as Xenon strobe, pulsed and static filament lamp, rotating, pulse and static LED, as well as an audible sounder module. Modular stacking beacons can be best used in a wide-range of applications in terms of multi-status signalling applications. It is commonly used to make a tower for up to 6 modules high and of which can be used as a single indicator or used as a sounder module. All external parts are moulded from UV-stabilised and engineering-grade polycarbonate that can contribute to an enhanced durability and effectiveness as well. Wall mounting brackets and pole mounts are also available to complement the range. What are the different components of a stacked beacon system? Here are the different essential components that every tower beacon should have. The base unit or the bottom-most part of the tower has a terminal block for wiring, top cover and gasket in order to support the whole tower construction. 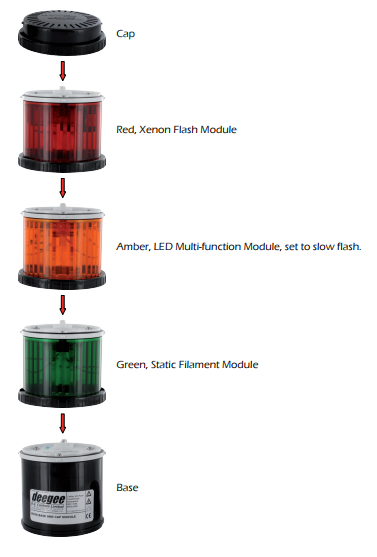 Light modules can be available in different colours and different types of lamps or light module, including LED, xenon strobe, and incandescent lamps. 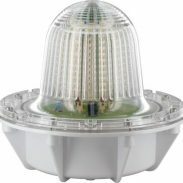 Audible alarm modules are also available if required, which should be attached to the top-most area of a completed tower unit, or alternatively, it can be directly attached to the stack light base. The stacking tower can be easily assembled mainly because it offers a simple twist and click locking mechanism. The electrical connections are incorporated into the vertical interlocking system of the stacked beacon or tower. This will enable the end user to assemble or build a choice of the tower in a quick and simple way. One of the advantages of using this modular system is that the base unit can be installed and wired, leaving the light modules to be chosen and fitted at a later date or in the future use whenever its necessary. This could be ideal for fitting any of them around a factory or a facility. When removing or disassembling the tower, it is also pretty easy. The modular construction of these towers also allows quick removal of the different units or components for maintenance. This will avoid and completely minimise any disruption, especially when you are using the tower as an indication of a machine status. Beacons can be assembled or set up in a wide variety of configurations and techniques. 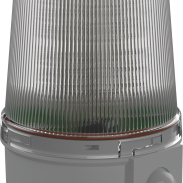 Colour, mounting options, numerous lamps can further enhance the stacked beacons or towers versatility in any application that includes signalling. Stacking beacons can be highly protective once they are tightly and securely constructed from the base. The quality and durability of each of the different modules and the base, can have a big impact on the overall effectiveness of the stacking light tower. Choosing the right product which is both excellent quality and durable, could definitely ensure you and your facility’s safety and security by providing you a relevant and attention-grabbing warning signal in case of any dangers, machine failures, and warnings that may occur.